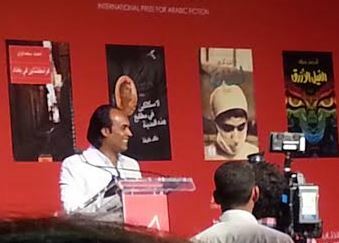 A cheer went up in the conference hall when the winner to the 2014 International Prize for Arabic Fiction was announced: It was Iraqi novelist Ahmed Saadawi for his novel, Frankenstein in Baghdad. The cheers were echoed across social media. Kachachi was also shortlisted this year for her latest novel, Tashari. Saadawi was up against five other novels for the prize: Kachachi’s Tashari, Syrian novelist Khaled Khalifa’s No Knives in the Kitchens of This City, Moroccan novelist Youssef Fadel’s A Rare Blue Bird That Flies with Me, fellow Moroccan Abdelrahim Lahbibi’s The Journeys of ‘Abdi, and popular Egyptian author Ahmed Mourad’s The Blue Elephant. Saadawi’s novel tells the story of Hadi Al-Attag, “a rag-and-bone man” who haunts the streets of war-torn Baghdad in the winter of 2005, searching for fresh human body parts to stitch together a human corpse. Once completed, the patchwork “what’s-its-name” embarks on a journey of revenge on behalf of all those whose organs constitute its body. In the press conference after the announcement, judging chair Saad Albazei asked Saadawi why he thought his novels –which tell a specifically Iraqi story—were being read outside Iraq. Both Albazei and judge Zhor Ghourram talked about the judges’ “objective” decision-making. Albazei pointed to the stylistic shifts in Frankenstein in Baghdad, which created a multivocalism that was “capable of expressing the state of Iraq,” he said. Part of the appeal of Saadawi’s “what’s-its-name” is its ambiguity, its graying of black-and-white moral judgments. His Frankenstein-like creature “cannot recognize or distinguish between victim or criminal,” Saadawi said. Although his novel is named after Mary Shelley’s creation, Saadawi said that he wasn’t specifically influenced by her novel, but by “the vast cultural space that is called ‘Frankenstein,’” which includes movies, comics, and more. Saadawi is the first Iraqi to win the IPAF, which is now in its seventh year. In the press conference, Saadawi was asked about what he’ll do next. Saadawi, who was born in Baghdad in 1973, was won a number of awards, including a place among the “Beirut39,” a 2010 list of top 39 Arab novelists under 40. 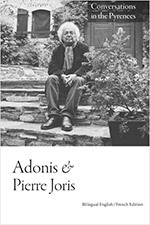 He has published a volume of poetry, Anniversary of Bad Songs (2000), and two previous novels: The Beautiful Country, in 2004, and Indeed He Dreams or Plays or Dies (2008). The IPAF award will bring Saadawi $50,000 in addition to global exposure. Translation rights to his novel are currently being negotiated by the publisher. Read an excerpt of Frankenstein in Baghdad: from the Beirut39 collection, trans. Anne Shaker.